TravStar1 Point Of Sale SystemManager's Work Station Daily ProceduresHow Do I Run an End of Day on the Manager's Work Station? This lesson will teach you how to close your day on the Manager's Work Station. From the Daily Procedures tab, click on the "End Of Day" button. 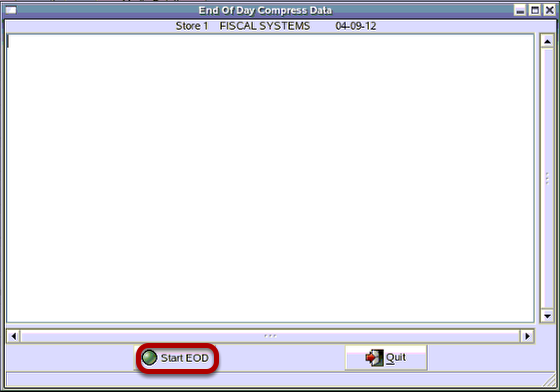 The End Of Day Compress Data organizes of all the sales data on the hard drive of the Manager's Work Station. Click on the "Start EOD" button. To confirm, click on the "Yes" button. To print the report click on the "Yes" button or click on the "No" button to skip report. Click on the "Yes" button to complete the End Of Day, or click on the "No" button to cancel. 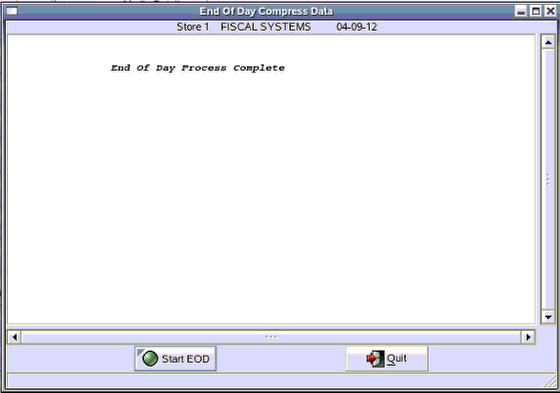 End of Day Process Complete will appear in the End Of Day Compress Data screen. Prev: How Do I Run the Store Reconciliation? Next: How Do I Run the Price Change Report?